Cosmetics hand-made every year is becoming more popular. Masks and home-made creams are no less effective than luxury brand products. 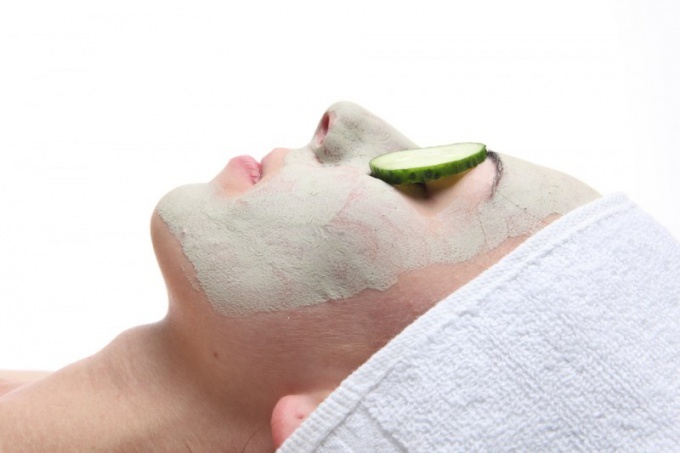 Masks from cucumber – one of the best means for skin care. Before applying a cucumber mask to the face, you need to thoroughly clean the skin. So the effectiveness of the procedure will increase several times. So wash with warm water with your favorite remedy and use a scrub. Sprinkle a small amount of exfoliant, apply on face and massage for 1-2 minutes. Rinse thoroughly, pat face with a towel. What is useful cucumber mask? Cucumber is a real storehouse of vitamins and microelements. Masks using slices of cucumber or juice obtained from this vegetable, have anti-inflammatory effect, moisturize the upper layers of the epidermis, help fight flavors and redness and smooth wrinkles. They can be considered universal: you can use these masks for any type of facial skin, adding various ingredients. Подготовьте огурцы к использованию. Молодые плоды тщательно вымойте при помощи губки, мыла и теплой воды, а слегка пожелтевшие – тщательно очистите от толстой кожуры и используйте только мякоть, находящуюся в середине овоща. If you have sensitive skin that is prone to irritation and scaling, grate ? part of the average cucumber on a grater, add a teaspoon of natural yogurt or ryazhenka to the pulp of 1. Put the mask on your face for 5-10 minutes and rinse with cool water, use a nourishing cream. To combat acne, use blue clay. Dissolve warm boiled water 2 tablespoons of clay powder to the consistency of thick sour cream. Put on the face, over the mask, put slices of chilled cucumber. When the clay begins to "tighten" the skin, wash your face with warm water, wipe with a cotton disc with a lotion, narrowing the pores. Normal or mixed type of skin like this composition: mix 3 tablespoons of the wiped pulp of an overripe cucumber with ? teaspoon of calendula tincture and 1 teaspoon of honey. Wash the mask in 30 minutes.